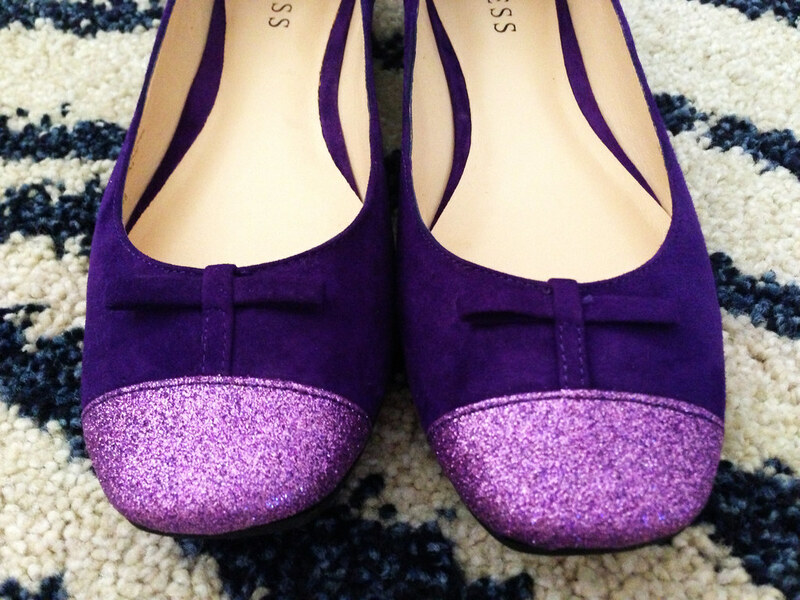 I bought these purple glitter and suede Guess shoes with money from my birthday and not only are they my favourite flats at the moment, they are probably my favourite flats I have ever owned in my whole life. I am always attracted to glitter and purple so it combines two of the best aspects. It wasn’t until I actually bought the shoes and wore them that I realised just how much of a statement the glitter makes; it really stands out and is a feature. I also love the vibrant purple and of course the Guess label. These are very special shoes for me so I hope I can get a lot of use out of them. It’s been extremely exciting buying a couple of pairs of shoes for my birthday. I’d really missed it while I was on a spending ban. This entry was posted in Guess, New In. Bookmark the permalink. They are lovely! I like who it's just the tip in glitter so it's not overpowering! Hope to see you wearing them in some outfit posts soon! They're absolutely stunning. I love the colour and the sparkles there. i love purple and this shoes are amazing! Lovely flats! I am loving the glitter on the tip. These are such a pretty pair! Love them. 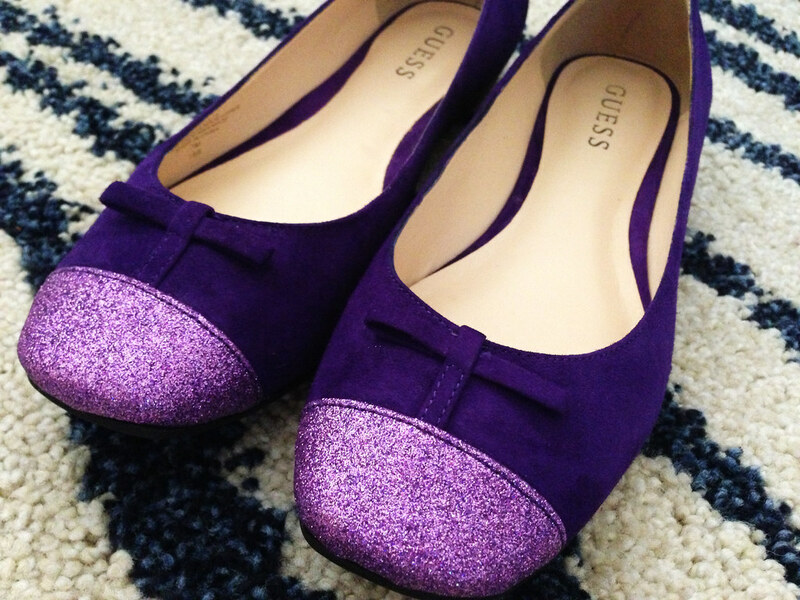 The cutest pair of flats ever! Cute shoes!!! Great pictures as well! Adore those flats!! very vibrant color and love the glitters!! Those flats are seriously cute! This is so cute. I really wanted glitter flats last season and this combines the glitter and the cap toe trend. oh my gosh! These flats are pretty darn cute! I love that they're purple because seriously, where can you find purple flats? And the glitter toe is perfection! They look so precious and royal, I'm pretty sure you'll get a lot of wear out of them! Happy belated birthday too sweetie. These are so pretty! I love the sparkly tip!